Organic Christmas Wreaths combine contemporary sensibilities with classic tradition in a manner that is eco-friendly and sustainable. The 2017 holiday season for floral wreaths kicks off November 27th, at which time our collection of Oregon-grown organic Christmas wreaths and swags will begin shipping. Below we extend season’s greetings with our favorite new & old organic Christmas wreaths for the 2017 holidays, along with other gorgeous organic Christmas wreaths from around the web. Designs range from simple and affordable to ornate and opulent, plus everything in between. 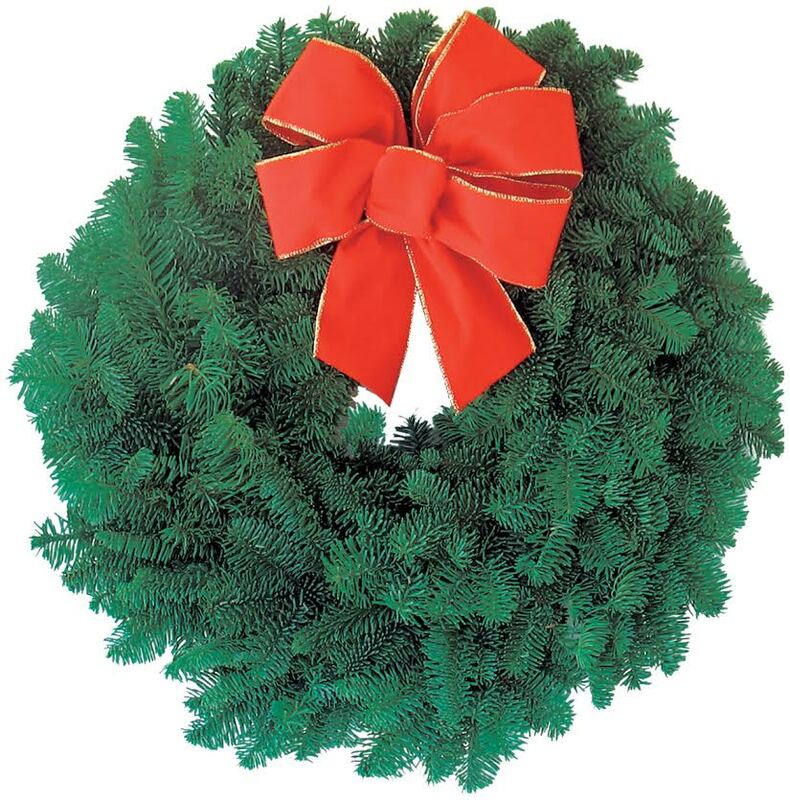 Oregon-grown organic evergreens topped with a lush velvet bow to produce the classic holiday colors in an organic Christmas wreath just begging for prime placement on your front door. Ponderosa pine cones and seeded eucalyptus complete the piece with a cheery Christmas welcome to all your holiday guests and visitors. Deck the halls with boughs of holly! Next we have the sumptuous Holly Berry Organic Holiday Wreath. English holly berries accent a dense bed of fragrant Oregon evergreens, completed with a charming red Christmas bow and Douglas Pine cones nestled throughout. 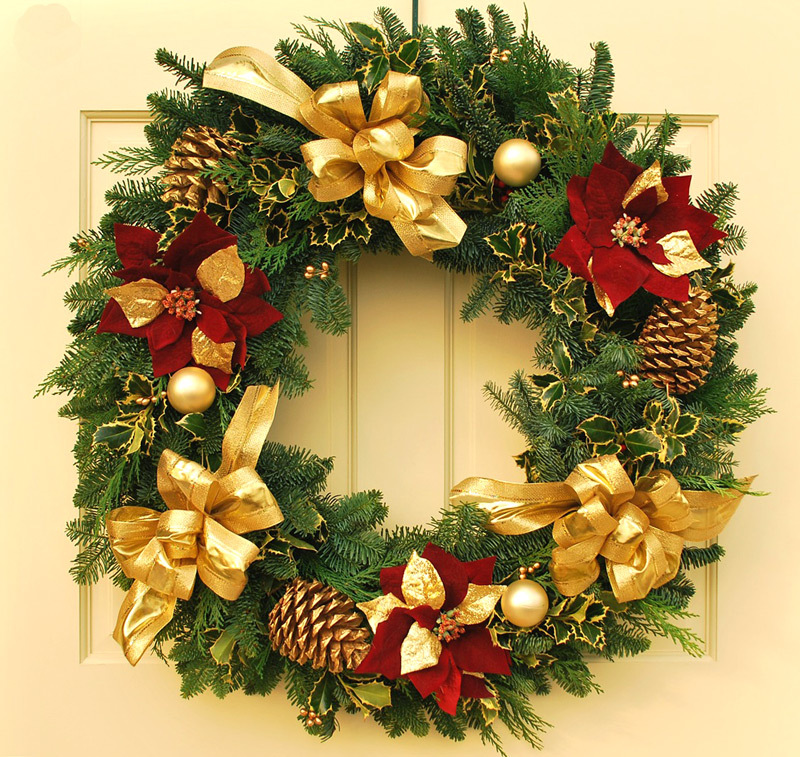 The final product is an organic wreath that will cheerily adorn your entry this holiday season. Gathered from the hills around a family farm in Potter Valley, California, this fresh holiday wreath is your new Christmas tradition. 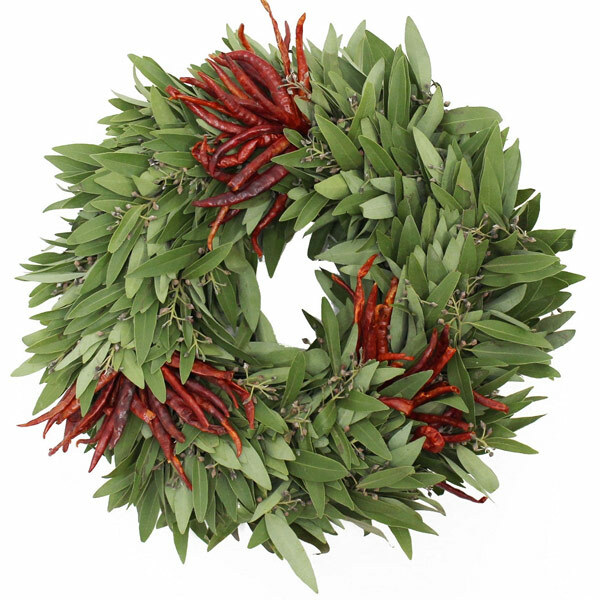 Made with certified organic herbs, this wreath is edible when the holidays are over. Next we have a homey celebration of a Christmas in the Pacific Northwest. 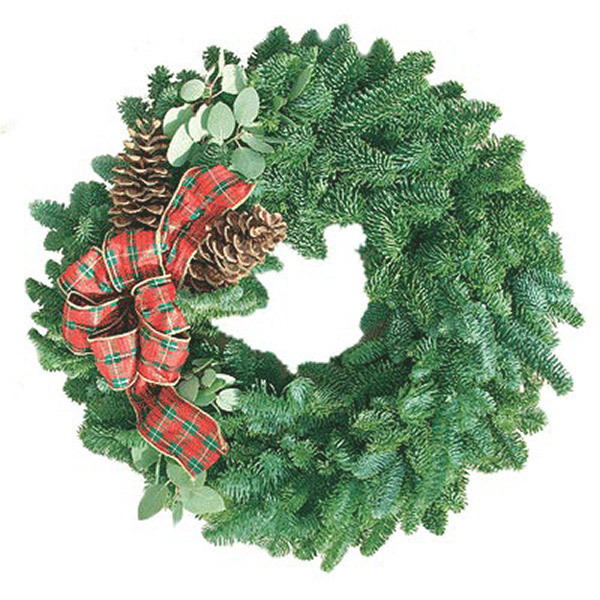 The Oregon Myrtle & Noble Fir Simplicity Wreath brings a sense of old-time pastoral simplicity to life. 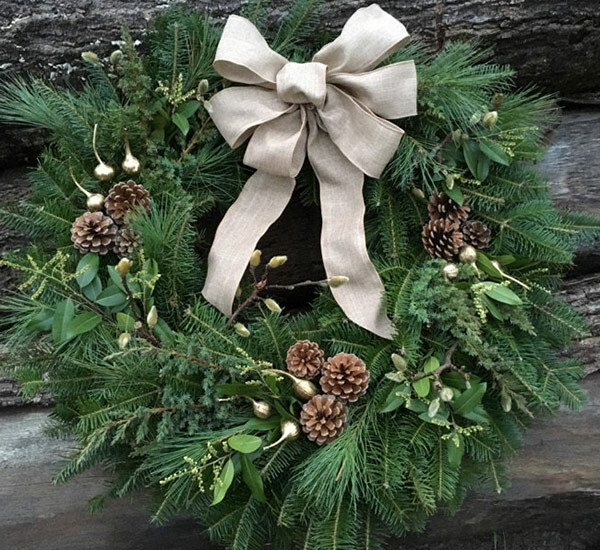 No matter where you are this holiday season, once this Oregon-grown Christmas wreath is delivered to your door, your home decor will reflect an old fashioned organic beauty with elegance and grace. 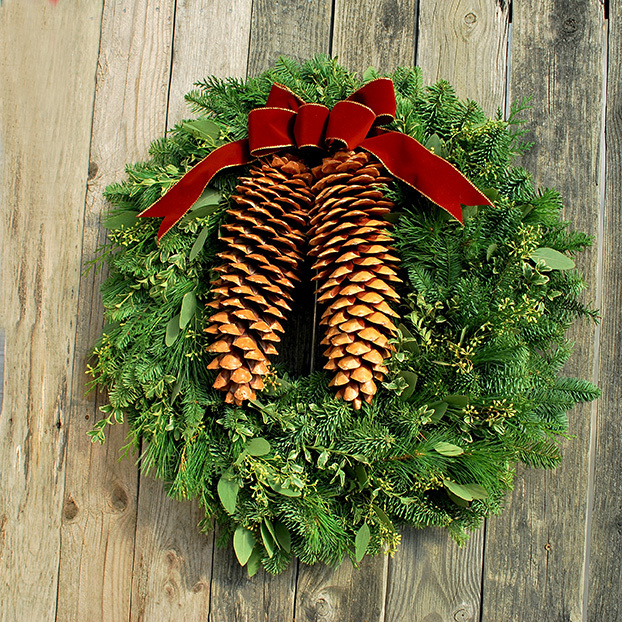 This 22″ wreath is made from noble fir, Oregon myrtle, two white pine cones, and a traditional plaid holiday bow. 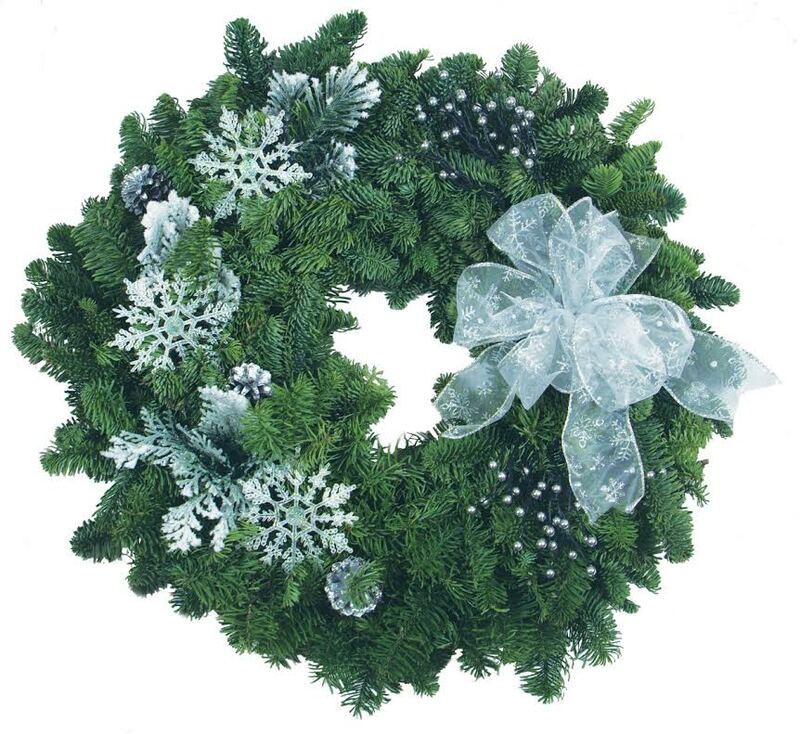 The Winter Frost Organic Holiday Wreath conveys season’s greetings as you dream of a White Christmas. Snow-kissed boughs of evergreens are graced by ornamental snowflakes, a shimmering white ribbon bow, and silver berries. A classic celebration of the true spirit of the holiday season. 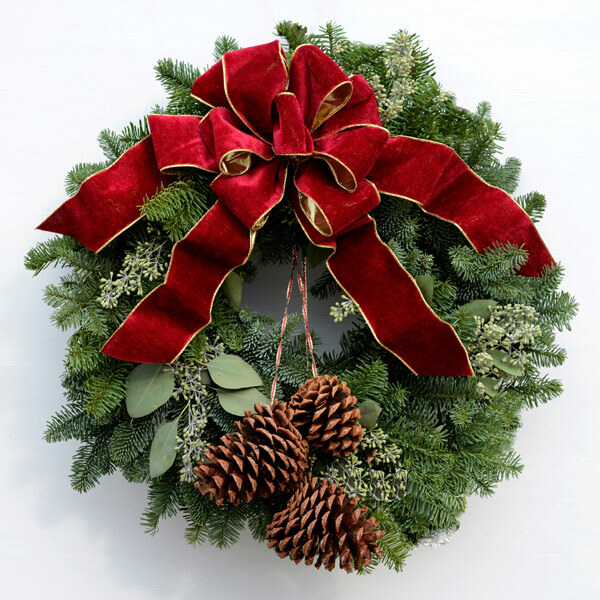 The Traditional Christmas Wreath is an affordable organic composition made with hearty helpings of Noble Fir alongside light accents of various local evergreens. Finished with pine cones and a gold trimmed bow. This deceptively simple holiday wreath is artfully handcrafted from a blend of evergreens and Noble Fir. The eye is drawn first to the brilliant red bow, then down the length of the gigantic Tahoe Sugar Pine cones into a bed of holiday organics. 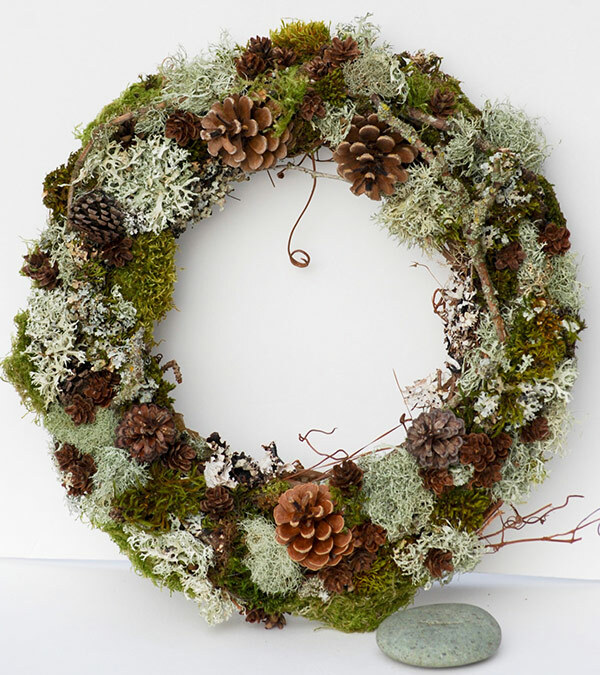 Moss, lichen, twigs, and pine cones are handcrafted to create each unique, one-of-a-kind forest holiday wreath. Rustic woodland door wreath or table centerpiece. Nothing beats the Simple Organic Christmas Wreath for the ideal combination of natural, organic beauty and affordability. It’s very reasonably priced, but we don’t hold back on the hearty helpings of fragrant Oregon-grown Noble Fir. Lastly, the whole thing is topped with our signature red bow. 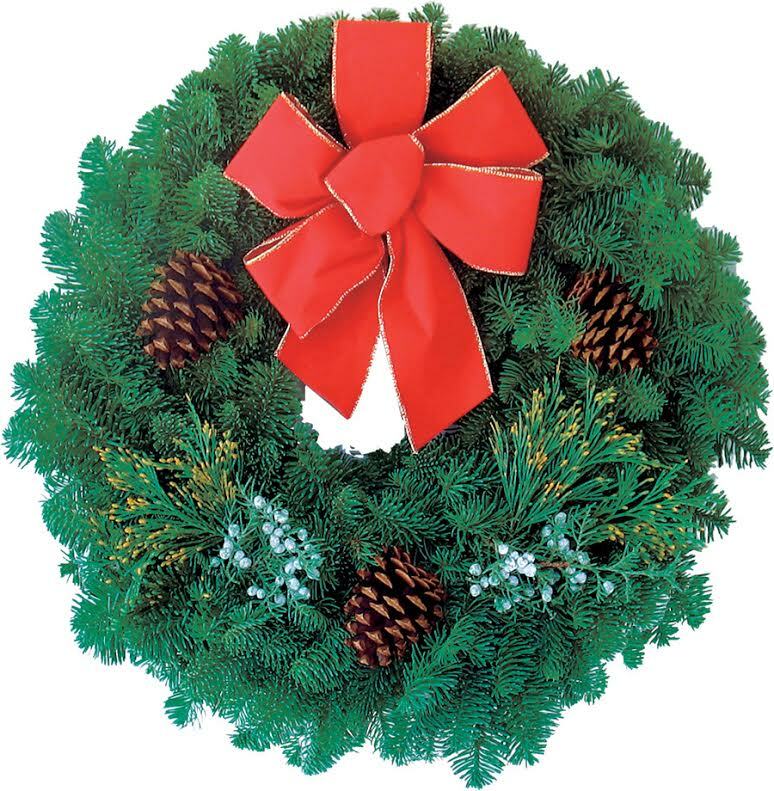 We follow our most affordable Christmas wreath with our two top-tier premium holiday wreaths. Above we have the Royal Elegance Wreath. This wreath pairs plush poinsettias against a spacious 27″ collage of organic Oregon evergreens. The final result is a perfect setting for shimmering gold bows, ornamental accents, bristling pine cones, and other clinquant Christmas accents. This stunning holiday wreath measures 24″ and is fully adorned with all kinds of goodies. An evergreen base of balsam and white pine for that lovely green color. Accented with japanese pieris, goldenrod galls, magnolia branches with fuzzy tomentose buds. Mixed in are some creeping juniper and pine cones, then the whole piece is topped off with an earthy linen bow. A simple work of beauty. 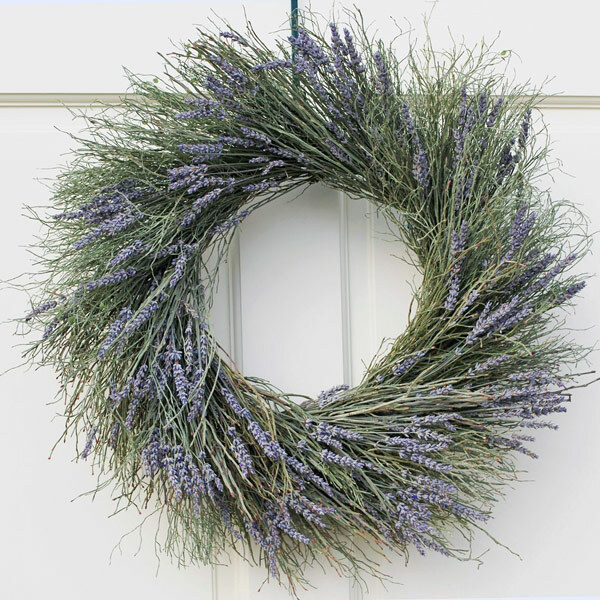 This organic wreath is lovingly handmade using dried winterbud twigs and preserved purple lavender. Add a splash of purple to your Christmas cheer this year! 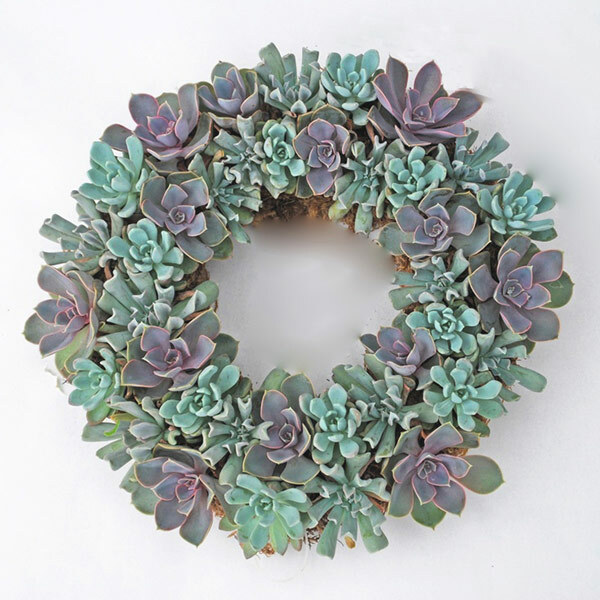 Succulents make for beautiful Christmas wreaths. I mean, just look at this! 12″ diameter, certified organic, stunning colors, and long lasting. What’s not to love? What a stunning and vibrant Christmas wreath! But look closely – are those chilis? And bay leaves?! Why yes! 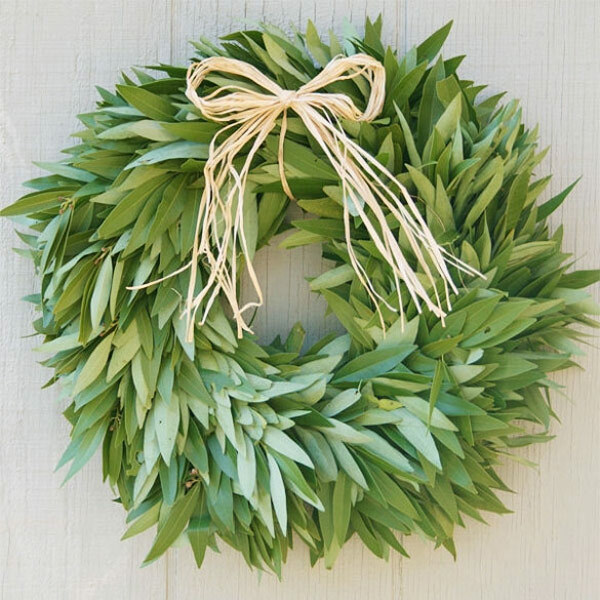 This fresh organic Christmas wreath is made from certified organic bay leaves. Plus it is accentuated with three sets of bright natural red chilis to bring out the rich green color of the base. The end result is an aromatic, attractive, and unique holiday wreath. 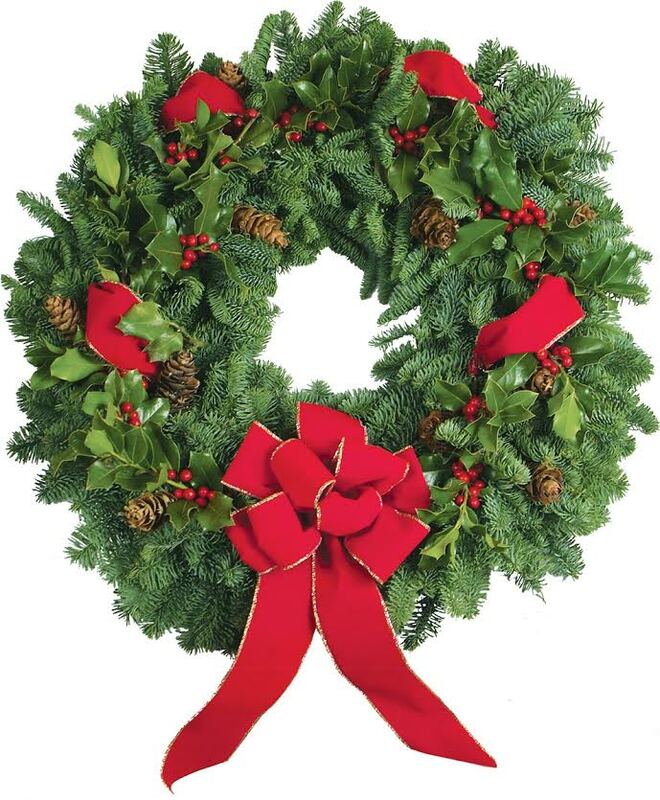 Check out our complete array of Organic Holiday Wreaths.